Craving Thai food? 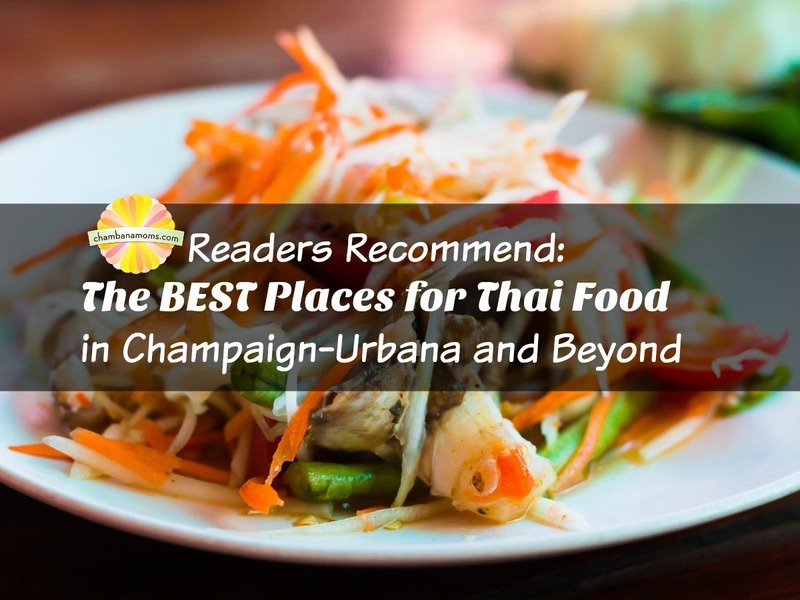 From pregnancy cravings to lunch time treats: Our readers help you out with their favorite Thai restaurants in Champaign-Urbana and beyond. Editor’s Note: Recommendations are supplied by our Readers on our Facebook page and are not endorsed by Chambanamoms.com. Thara Thai, Champaign: “Definitely Thara Thai. They will customize anything and the food is always good. I feel like people don’t know about it because it’s out on Bloomington Road, but I think it’s the best Thai food in town!” “Thara Thai is a best kept secret in town!” “Their pineapple rice and coconut dessert are amazing!” “Definitely Thara Thai! So incredibly good. Be prepared for a wait, not usually for a table, but the food takes a while to come out. So worth the wait, though. Never had a bad experience or left less than over the moon for the food.” “Pad Thai is amazing, and the mango sticky rice? Amazing!” Editor’s Note: See why we think Thara Thai is a good place to go for date night. Looking for Family-Friendly Take Out in Champaign-Urbana? We have a post for that. For more Family-Friendly Ethnic Restaurants in Champaign-Urbana, check out this post. Did we miss your favorite Thai place in town? Let us know where you go for Thai food and why in the comments below!